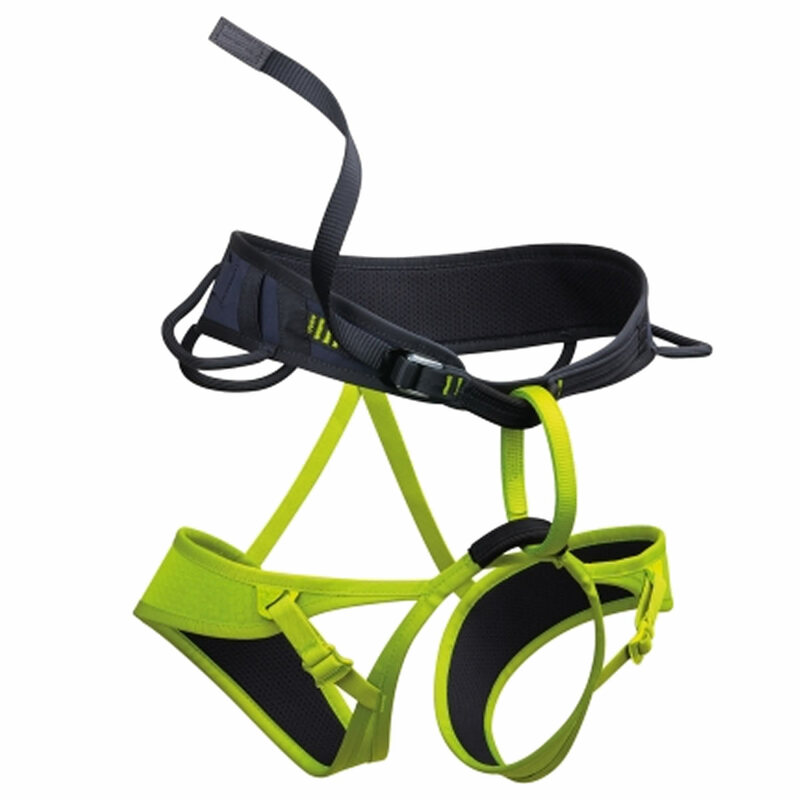 Edelrid designed the Leaf Harness to be light and packable for alpine climbing, although it’s fully equipped for all-round use as well. The laminated construction provides even weight distribution, while keeping the pack size small, plus 3D mesh padding makes it even more comfortable. The Leaf also features 15mm buckles at the waistbelt and minimal leg loop adjustments so you get get the best possible fit, and has plenty of options to rack your gear on, including two attachment options for ice screw clips and a chalk bag loop for cragging. The Edelrid Leaf Harness features a special wear indicator, which lets you know when it’s getting a bit worn out. This consists of a red thread in the tie-in point that will become visible in the event of excessive wear, as an early warning that you might need a new harness soon.